What is a dento-facial aesthetic makeover? A dento-facial aesthetic makeover is about enhancing your smile by restoring the natural beauty of your facial structure using safe, minimally invasive techniques and materials. As your dentist, the main focus of our cosmetic dentistry procedures is to help you achieve the best looking you. With the introduction of our dento-facial aesthetic treatments ( from anti-wrinkle injections and dermal fillers), this goal is even easier to achieve, with even more impressive results. We can help smooth out wrinkles, and fill in the folds, so that your beautiful, improved smile will be framed by a more youthful looking, but age-appropriate, you. At our practice, we will personally tailor your treatment just enough to restore your natural beauty without being obvious. We want you to look fresh, and not fake. Custom-made removable aligners made of a virtually invisible plastic, over your teeth to gradually move them to the ideal position. Customised teeth whitening powered by Opalescence, a leader in professional teeth whitening systems for over 20 years. We have options of in-chair teeth whitening and customised take-home teeth whitening packages. From invisible braces, crowns, composite veneers, Edelweiss veneers, ceramic or porcelain veneers to dental implants, your new smile is not impossible to achieve. Talk to our dentists to discuss your needs and have a total smile makeover designed just for you. 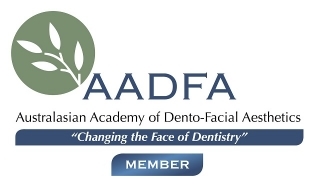 Our dentists, Dr. Rouel Vergara and Dr. Benjamin Barrera, are certified by the Australasian Academy of Dento-Facial Aesthetics.